Carpet. Upholstery. Pest Management. Tile & Grout Cleaning. EMPTY HOUSE - CALL NOW ! Ideal if you are moving in or out. FURNISHED HOME - CALL NOW ! Ideal if your home needs a good clean & a freshen up. PEST CONTROL - CALL NOW ! See our Furnished Homes Page for all inclusions. See our Pest Control Services Page for more. We use powerful truck mounted machines and our residential or commercial carpet cleaning service is guaranteed and completely safe. We are professional and courteous cleaners and we service all suburbs from Brisbane to Ipswich. 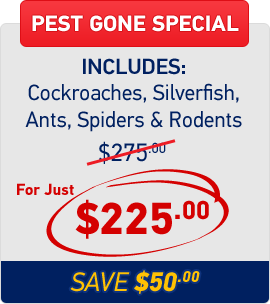 Call today for all specials and combined pest treatment and cleaning services. 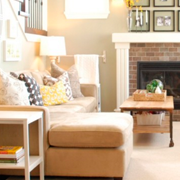 We have the best carpet or rug cleaning deals and prices, so why overpay for quality. Using our state of the art powerful truck mount machines & portable machines the drying time, on your steam cleaned carpets can be as little as 30 mins! 24hrs a Day 7 Days a week. we do, we Guarantee it! Best 1 offers Bronze, Silver or Gold packages for amazing results when deep carpet steam cleaning or carpet dry cleaning solutions and also specialised stains or dirt removal on upholstery, mattresses and rugs. You choose the optimum package. We don’t just use hot water, we use state of the art, truck mounted carpet steam cleaning machines to remove stain, dust or dirt and the latest carpet dry cleaning techniques for water damage or wet carpets and similar items. Need your tiles and grout brought back to life? We professionally clean and seal your tiles. Just call us for a free quote. Best 1 also covers flood water extraction; a job that MUST be correctly handled by experienced carpet cleaners, as the wrong extraction method can cause your carpets to remain wet after flood damage, leading to bad odours/smells or shrinkage. As the best cleaning solutions provider among all of the professional carpet cleaning companies operating in Brisbane, we carry full public liability insurance for your added peace of mind. Bond Cleaning and treatment packages are available for tenants moving out of a rental house or a family home. 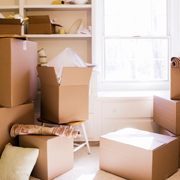 Vacating a rental property can be stressful, but not with Best 1 Cleaning on your side. 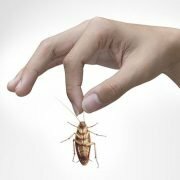 We will clean your property and remove pest to get your bond returned. Call today for all specials and cost effective combined services. We offer the best deals and pricing. Why overpay for quality? We are professional cleaners who use state of the art machines to clean your home, office or commercial property, so call us today. Brisbane’s best carpet cleaning and pest control service. You’ll be so happy with our results, we 100% guarantee all our work. For expert cleaning Brisbane homeowners rely on. Proudly servicing the greater south east of Queensland with a focus on Brisbane, Ipswich, Gold Coast and Sunshine Coast.